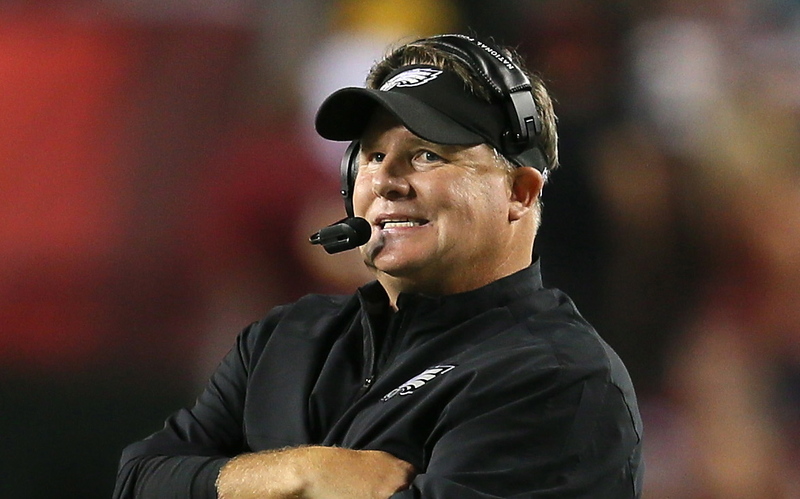 It has been a crazy week for former Oregon Head Coach Chip Kelly and the Philadelphia Eagles. Two weeks ago word came that the head man in Philly traded away their top running back in LeSean McCoy for Kiko Alonso. Many questioned that move then, but now Kelly looks like a genius moving McCoy and gaining valuable cap space, and in turn signing two Running Backs in Former Dallas Cowboy DeMarco Murray and Ryan Mathews who was recently with San Diego, When it comes to money and management, Kelly seems to know the game in the NFL. Alonso is the perfect example. He is entering the third year of his Rookie Contract and although he was the NFL Defensive Player of the Year, Alonso is damaged goods missing his Senior season when he was with Oregon due to knee surgeries. Now, he has the chance to thrive in likely a similar system to what Kelly had with Oregon and earn his keep, while Philadelphia will have the chance to better manage the bottom line. When it comes to defining a team the Starting Quarterback is a key element. Kelly also made a move there shipping Nick Foles to St Louis for Sam Bradford. Again, the issue of damaged goods comes into play with Bradford having numerous acl surgeries the last few years. One thing I noticed is that if the season started today, many of these new aquisitions would not be healthy enough to take the field. There is always a risk/reward when doing what Kelly is doing and if there are rewards to be had it may be in the way of a Super Bowl, but if the season comes crashing down like shattering glass of injured knees and ankles the third year head coach may not be around to pick up the pieces. In Murray, Kelly saved face in signing a workhorse and a dependable player. With the workout ethic and play ethic he has instituted in Philadelphia, Murray may end up having a few additional seasons of leg life. The Eagles also signed Ryan Mathews who will be able to spell Murray in key spots in the future. The future of the NFL is the Running Game and Kelly has signed the best in the league. As far as what they will look for in the Draft, Kelly says he won’t go after Oregon Quarterback Marcus Mariota, but you never know. One key area the team will need to fill a hole is at Wide Receiver after losing Jeremy Maclin to the Chiefs. It would not surprise me if Philly moved up on the draft board to snag Amari Cooper over Marcus Mariota. The NFL Draft comes at the end of April and there are still available Free Agent Wide Receivers to be had. When the dealings were done Kelly stepped out of the Sports World on Friday and entered real life with a big time class move. Last week a Philadelphia Police Officer was killed in the line of duty responding to a robbery. Pictures started to surface on Thursday on Twitter of Kelly at the service for the fallen Officer. He was there for one reason, to give a ball to the Officer’s son. His tradition of ‘Service Moments’ may not make the headlines, but they still ring true at Oregon. The Annual Spring Game to honor the Troops was started by Kelly and he continues these moments in his career in the National Football League.